Being you never felt so good. Discover new frontiers in relaxation. Life is great, but it’s also stressful. That’s why we offer over ten different types of massages to help you unwind, de-stress, and become pain free. 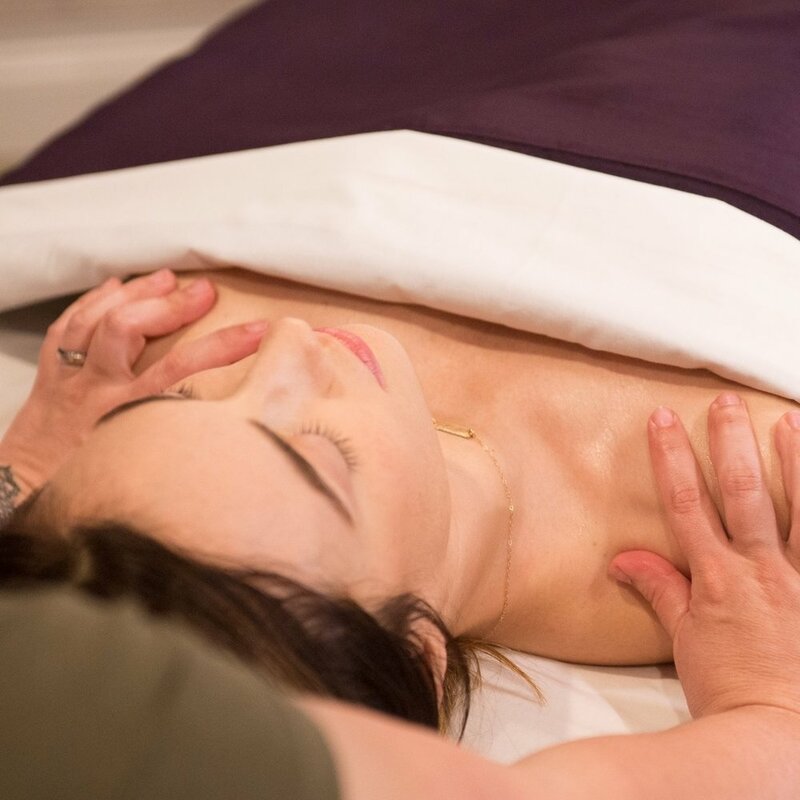 From a classic Swedish massage to unique offerings like Ashiatsu and Reflexology, at OSDS we pride ourselves on providing a truly personalized experience that eases tension, increases flexibility, and reduces stiffness. A unique, one-of-a-kind experience. During the session, the practitioner will interpret your energy flow and use gentle and simple techniques to release restrictions to your body. From the Japanese word for "foot pressure," ashiatsu is a deep tissue massage using feet and human weight to unlock body chemistry and reduce stress. Reconnect with your loved one with this relaxing, intimate service. Relax with your loved one with one of our most popular massages. Strong, steady pressure is applied to reach deep muscles within your body. Muscles are manipulated and relaxed through the use of friction, kneading, stretching, and stroking. Great for reducing pain and inflammation, Cupping is an ancient form of alternative medicine. The suction created by the cups stretches the fascia to reduce tissue restrictions. Swedish massage is combined with heated stones to help facilitate the release of sore and tight muscles. The relaxation of a normal massage, amplified. Two massage therapists working in tandem on your muscles for an experience that has to be felt to be believed. A therapeutic balancing method, Sound Healing uses frequencies produced by tuning forks to detect and correct distortions and imbalances within the bio-magnetic energy field that surrounds the human body. This full-body massage is designed to promote health, circulation and well-being of expectant mothers. Exfoliate your feet with our relaxing aromatherapy scrub. Includes massage and hot towel treatment. Craniosacral Therapy (CTS) is a gentle non-invasive form of bodywork with the focus on calming the nervous system and releasing fascial restrictions. Sore feet? This is the treatment for you. Specific pressure techniques are used to stimulate reflex points on the feet that correspond to all areas of the body. If you are under a doctor’s care and in need of massage, ask us about this service. This service requires a doctor’s prescription and medical insurance.